I had originally planned on doing a series that would give in-depth previews of each of the four Memorial Cup qualifiers but I noticed earlier today that Patrick King has done an excellent job of that already. I highly recommend his team profiles that can be found at Sportsnet.ca. Because King did those breakdowns for us I'm going to drawn on them as a basis for looking at some head to head matchups beginning with the pipemen. It's interesting to note that the four starting netminders are all undrafted and really, none have much notoriety outside of their own league and arguably, not even there. If size matters, and in net it often does, then the height advantage here has to go to Windsor with the wookie-like Engelage. That said, last year Dustin Tokarski helped to steal the show for Spokane and he checks in at a paltry 5'11, 185 lbs so size isn't the be-all end-all category to look at. For now though... Edge: Windsor. Just going by these numbers, it doesn't look good for the two Quebec League goalies, but we're comparing three different leagues so it might not be fair to just make assumptions. Rather than compare the goalies against each other than, I'm going to compare their regular season numbers to how they made out in the playoffs when it really matters. Here we see Gougeon actually did worse in the playoffs and I attribute much of that to the 4 straight losses to Drummondville. Cousineau certainly appears to have gotten better but we know from speaking with media that covers the Q that Drummondville's first two round opponents were extremely weak in comparison. It's interesting to see that both Engelage and Guggenberger's numbers are weaker in the playoffs (aside from the Kelowna goalie's GAA). We heard coach Clem Jodoin talk about the play of Gougeon in the second half of the season after he was told that, unlike each of the previous three years, he would not be traded at the deadline. Accoding to Jodoin, Gougeon became "a new man" and a check at the record in 2009 proves that statement. Gougeon went 16-4 leading up to the playoffs and lost only once in the playoffs before the collapse in the third round. 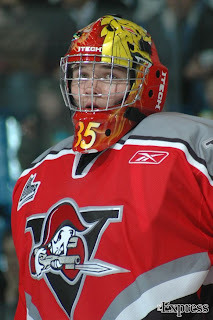 The Voltigeurs goalie, Marco Cousineau, began the year with Baie-Comeau and only came to his current team at the deadline. He went from one of the worst teams to the best club so a positive jump in his record and performance should be expected - and there was one. He appeared in 16 games for his new club and won 12 of them, he was 9-25 before the trade. Cousineau, like the team in front of him, was tough to beat during the first three rounds of the playoffs but once they ran into Shawinigan, a Memorial Cup caliber club... that wasn't the case. The Cataractes were able to score 4 or more goals in three games. Cousineau was a 3rd round pick of the Anaheim Ducks in 2008. Windsor's starting netminder had a ridiculously good regular season. His record in 2009 was a perfect 19-0 with a couple games thrown in where he took neither the win nor the loss. Engelage only had 4 regulation time losses during the 68-game season and the last came a week before Christmas. In the playoffs, GM Warren Rychel suggested that Engelage got off to a slow start; he was puled twice in the opening round series against Owen Sound. After that though he's been pretty strong again and in the final he held an offensively talented Brampton club to a single goal in three of their five meetings. Like Cousineau, Mark Guggenberger didn't start the season with the same team that he's with at the Memorial Cup. 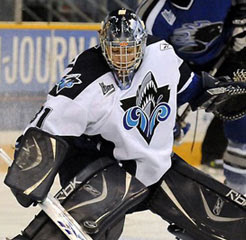 Guggenberger was with Swift Current until the trade deadline and he had a 12-11 record at the time of the deal. 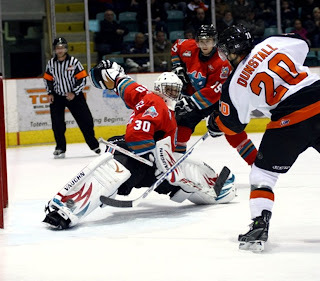 With Kelowna he improved to 17-3, but unlike Cousineau this wasn't a case of going from a bottom feeder to a power house. Swift Current ended the year with 86 points compared to Kelowna's 98 but play in a conference with much more parity. In the playoffs Guggenberger has been either exceptional or simply good; he's had four +4-goal games in the last two series including a pair of meetings with Calgary who put 6 behind him. He also has 3 shutouts in that same time span. It's no exact science and anyone who knows me knows that I don't claim to be a stats expert - far from it so I'll let one of the corsi/qualcomp/ipsofacto experts chime in and tell me if they agree with my summation. 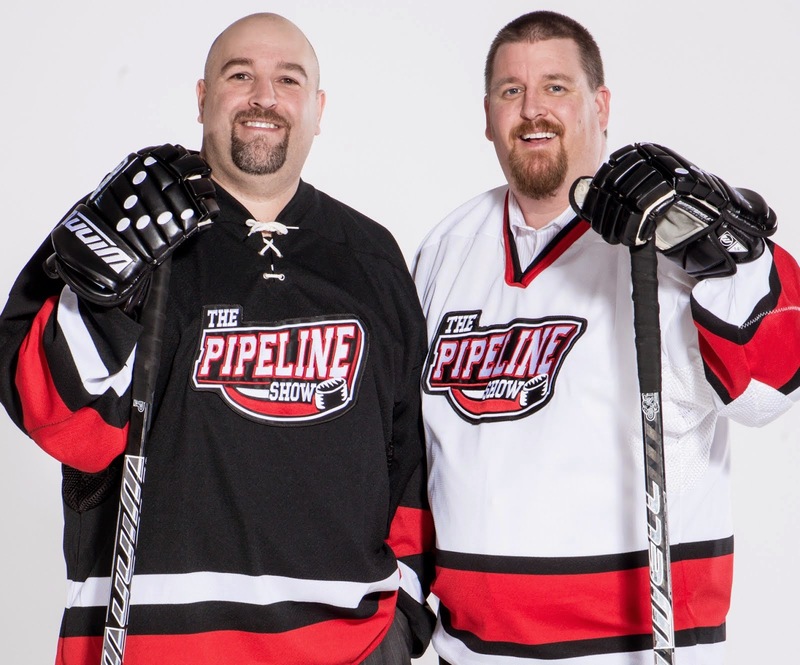 Gougeon's biggest downfall might be his size although Patrick King (Sportsnet) points out that he can be his own worst enemy if he gives up quick goals. He may also be lacking in rebound control and he's got a tiny frame... not a good combination against the elite CHL teams he'll be facing. King suggests that consistency is the weakness for Cousineau. I wonder how sheltered he was playing on a strong team after the trade deadline. His pre-trade numbers are pretty bad but on a better team last year he performed well enough to attract Anaheim in the 3rd round of the draft. It's very interesting to me that King lists netminding as the first weakness for Windsor in his report. 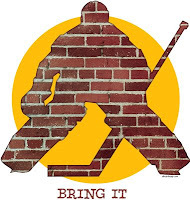 Perhaps this is the goalie that is actually more of a product of the team than a major reason for the team's success? I've spoken with some other people who would know and they aren't 100% sold on Engelage just yet... but it's hard to deny the stats and the natural size. Guggenberger doesn't have a ton of experience as a starter (only since coming to Kelowna) so who knows how he'll perform under the brightest spotlight he's seen in his career. Like I said before, he was very good and average in the WHL playoffs but leaning more often to the postive side. 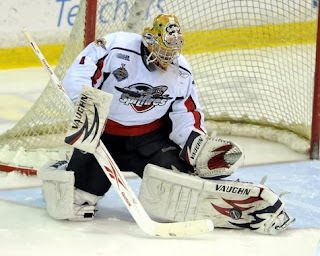 In my opinion, the team with the best goaltending heading into the Memorial Cup is the Windsor Spitfires followed closely by the Kelowna Rockets.